Keep your Essex house warm this winter with our super double glazing offers! Double-glazing installation is one of the country’s most worthwhile renovations around. Thermally enhancing and proactively reducing energy-consumption, high-quality double-glazing products even have the power to add notable value to properties in need of a profitable boost. With this in mind, winter is the ideal time of year to upgrade your homes energy efficiency with a high-performance double-glazed home improvement – due to the simple fact that you will begin to feel the warming benefits almost immediately. At this time of year, it’s also essential to remember that there are usually incredible finance options to take advantage of; for homeowners who require a payment plan to carry out necessary work. If your windows have gone beyond repair, they will almost certainly reduce your chances of a swift sale. Draughty and ineffectual, they’ll also dash your hopes of creating a snug and cosy place to escape the bitterly cold weather this winter. 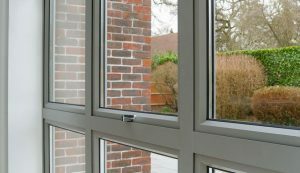 Available in practical uPVC, authentic timber and contemporary aluminium, double-glazed casement windows are Britain’s most popular window style due to their adaptable and straightforward nature. Live in Colchester? Why not upgrade your extension roof? We have installed many conservatories and orangeries across Colchester over the years. So, if your extension space has become cold and uncomfortable or is over 10 years old, have you thought of upgrading the space as an early Christmas present for you and your family? Warm your family’s heart this year with a replacement double-glazed conservatory roof, a lovely LivinRoof upgrade or create the ultimate wow factor with a toasty lantern roof installation. Just on the outskirts of Essex, Great Amwell is an incredibly sought-after place to reside in. So, if you’re lucky enough to live here, you want to be sure that your properties renovation work is of the highest quality possible to retain the buildings architectural beauty and original heritage features. 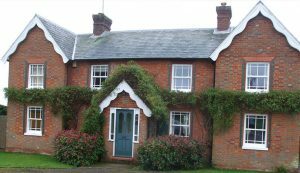 From stunning Georgian country houses to modern detached bungalows surrounded by acres of far-reaching Hertfordshire countryside, Great Amwell properties will undoubtedly benefit from the exceptional insulation and beautiful aesthetics that double-glazed uPVC wood effect sash windows effortlessly offer. At this time of year, it can appear a daunting task to afford a home improvement combined with the expense of Christmas. But with SEH BAC, there’s no need to fret as we have an array of fantastic finance packages that will easily allow you to afford both. With finance options to suit all situations and lifestyles, including paying a £99 deposit now and then nothing until 2020, don’t hesitate to contact us if you need to discuss anything further.